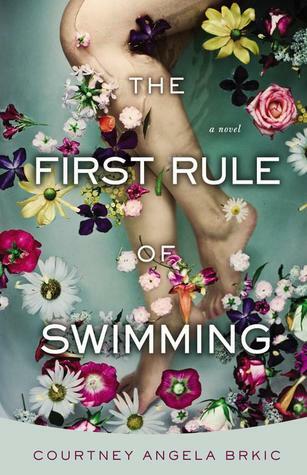 It seems rather fitting that just after reading and reviewing a novel last week centered on two brothers that I would pick up The First Rule of Swimming by Courtney Angela Brkic, a gripping story of two sisters. Magdalena and Jadranka are from a small sheltered Croatian island and their lives and those of their whole family have been shaped by a war that tested the bounds of their family’s loyalty. In the Babic family, keeping secrets pushes loved ones away and years later revealing secrets proves just as forceful, propelling Jadranka to run straight into danger, her uncle Marin and her mother Ana to face emotions they’d long since buried, and Magda to begin a journey across the ocean that will ultimately change her circumstances forever. Brkic has crafted a story that is heavy with emotion and draws out our sympathy for not only the protagonist, Magda, but her entire cast of supporting characters. Each member of the Babic family has a complex persona derived from their past experiences and unique point of view. This is a great summer read. Sign into Goodreads to see if any of your friends have read The First Rule of Swimming.